Add video, image, text, audio, and PDF files. Easily import content directly from Dropbox, Google Drive, or OneDrive. You can work with your existing website or create new pages on Teachable, all with our intuitive drag-and-drop builder. Your course website is fully responsive, so students can view your content from computers, tablets, and smartphones. With our Power Editor, you or your team can dig into the code and make advanced customizations. 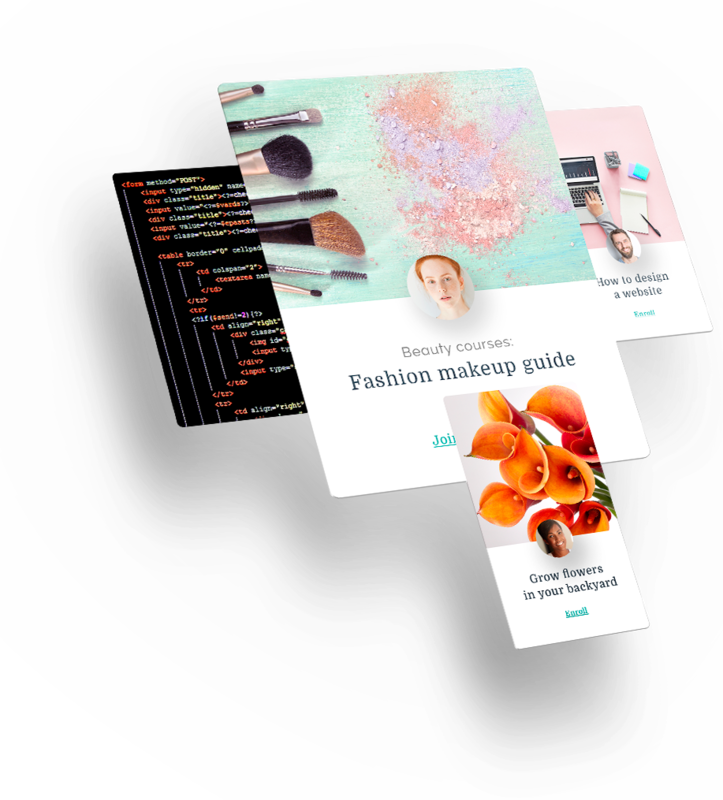 Easily draft, customize, and launch new course pages with a powerful page editor. Start with your own free domain (yourschool.teachable.com), host under your own domain name (yourschool.com), or link to a subdomain (school.yoursite.com). Modify the language used in any part of your site to support international audiences. Easily create a quiz with our native feature to reinforce learning, summarize essential information, and check in on your students’ progress. Spark conversations and answer questions within your lectures using our native comments feature. Optionally, moderate comments before they appear publicly. Include Google Forms, surveys, and other tools to collect information from your students that helps you understand and serve them better. Use Zapier to connect your school with virtually every known support tool, including Intercom, Olark, and Zendesk. Keep in touch with your students by sending targeted emails based on enrollment, completion, code redemption, and a dozen other filters. Incentivize enrollments by creating dollar-amount or percentage-off coupons with custom expiration times. Charge a one-time fee, sell a subscription, or set up a payment plan, and offer individual or bundled courses. Reward others for sharing your course and track their results with the built-in affiliate marketing feature. Use our conversion-optimized sales page template, or create your own custom landing pages. Take payments from 130+ international currencies through Stripe Connect credit card processing or PayPal. You can even accept multiple currencies for a single course. Integrate your school with MailChimp, AWeber, Infusionsoft, Mixpanel, and almost any other marketing tool via Zapier. Gain valuable insights about your advertising’s effectiveness by adding conversion pixels to your site. Determine the initial source where a student heard about you, and identify which campaign converted them into customers. See a snapshot of student signups and revenue across a defined time period on your Teachable dashboard. Understand your average lecture completion rates and sort by student account type (free, full price, or discounted). Export your student contact list or course revenue data at any time to perform deeper analysis. By integrating Zapier, you can send custom course-related events to virtually any analytics tool. Allow others to author and manage courses on your school and pay out your instructors on a monthly basis. Manually enroll students in new courses when necessary and process full or partial refunds. 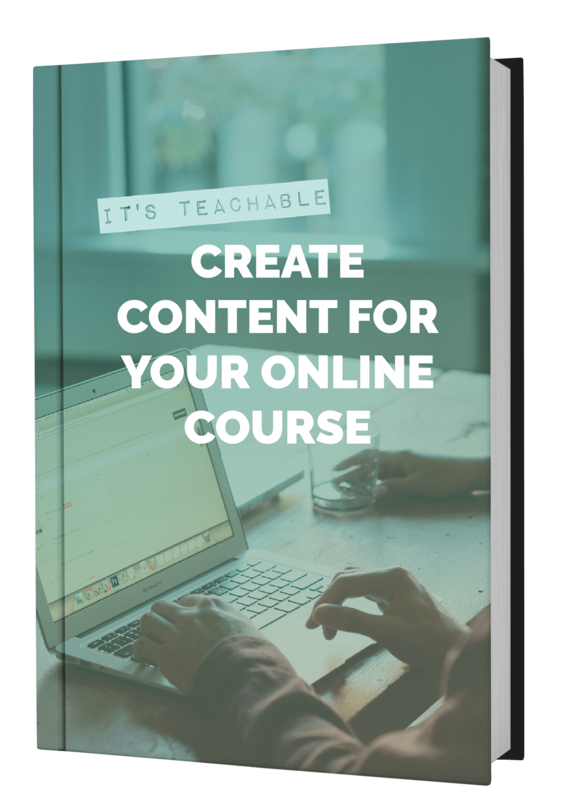 Teachable hosts your course content for you and backs up your site and student data so you don’t have to worry about it. Own and control all of the content and student data from your Teachable schools and courses. We work around the clock to fix issues as they arise and make sure your virtual school doors stay open. Automatically receive the latest features immediately, without having to manually update. A 2048-bit SSL certificate keeps your students' information secure during login and checkout. We only work with payment providers that are PCI level-1 compliant, so your and your users’ data is safe and secure.